If you are moving to Louisville, heading to Louisville for a vacation, or simply passing through our great city, then you're going to need to be familiar with the local system of interstates. As is common in many urban areas, some highways are referred to by interstate number, others by name. Sometimes both! 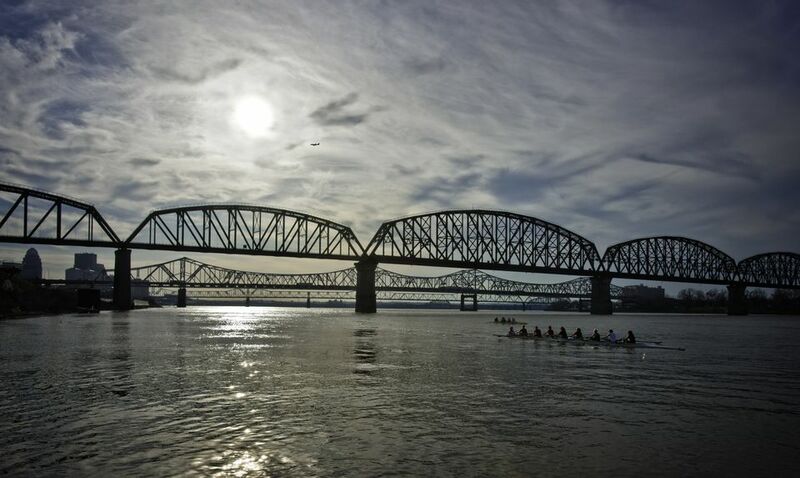 It can be confusing, but once you get the hang of it, it is smooth sailing around and through Louisville, Kentucky. Below is a list of all of Louisville's major interstates, including the directions they run in and where they will take you (along with a few suggestions on places to stop along the way). I-264 Louisville, locally referred to as the Watterson Expressway, is a Louisville bypass interstate that allows drivers to go around the Downtown Louisville area instead of continuing on I-64 and going through it. The Watterson Expressway heads east and west. The Watterson Expressway begins in the west on the Louisville side of the Sherman-Minton Bridge, makes a semi-circle around Downtown Louisville, and ends at I-71 near Oldham County. I-265 Louisville, locally referred to as the Gene Snyder Freeway, is a Louisville access interstate. The Gene Snyder Freeway heads north and south at parts and east and west at parts. Just remember than north and east are the same direction on the Gene Snyder, and the same is true for south and west. The Gene Snyder Freeway begins on Greenbelt Highway in the South End of Louisville, makes a wide semicircle around the city, and ends at I-71 near LaGrange. The highway is named after a former congressman and is sometimes referred to as the Snyder. It forms a loop around the Louisville area and serves as a border for part of St. Matthews, once a suburb and now part of Jefferson County. I-265 Indiana, locally referred to as the Lee Hamilton Highway, is an Indiana interstate that connects I-64 and I-65 on the Indiana side of the Ohio River. The Lee Hamilton Highway heads east toward I-65 and west toward I-64. The Lee Hamilton Highway begins just after the Sherman-Minton Bridge on I-64, crosses State Street, Grant Line Road, Charlestown Road, I-65, and US 62 before ending in Jeffersonville close to Charlestown.